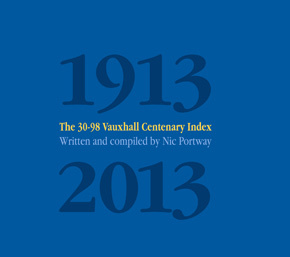 Another authoritative book from New Wensum Publishing – this book is published as a record of what is known of the history of each of the 30-98 hp Vauxhalls built at Luton between 1913 and 1927. 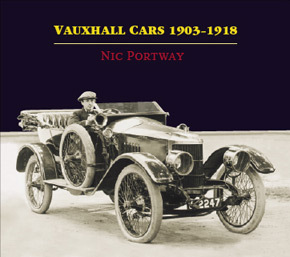 Introducing Nic Portway's definitive new book – a companion to the highly acclaimed and successful Vauxhall 30-98: The Finest of Sporting Cars – in two case-bound volumes. 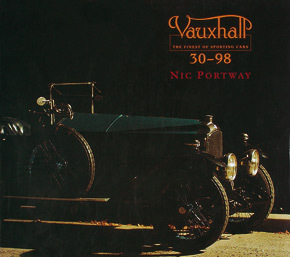 Nic Portway single volume classic from 1996 – a beautifully produced tome exploring the vintage Vauxhall 30-98 through the Edwardian era to the present day. Nic Portway has produced a stunning history of the breed.